I became a mother first. Then, I became a wife. As soon as I said, “I do” to my husband, the roles of this woman switched immediately and permanently. I’m now his wife first. 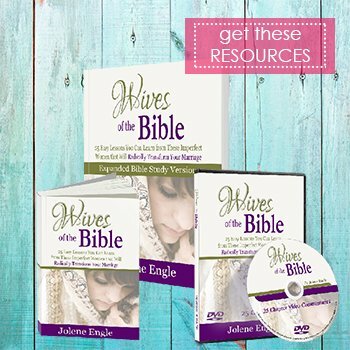 The role of wife and mother can so easily merge or collide into each other. 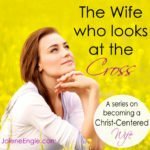 The wife’s heart wants to pour into pleasing her husband. The mother’s arms wants to snuggle those precious babies close. It can become easy to lean more toward meeting the needs of our children when they’re young and helpless. This pattern continues as they get older and rescuing our children is a regular occurrence. We’re mom. It’s our protective duty, right? 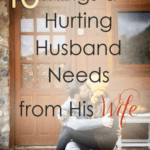 Our husbands are (in our thinking) self-sufficient enough. “He can get it himself. I’m tending to the immediate need of these helpless kids.” can quickly become the mindset. 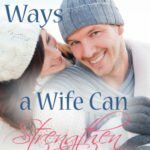 I can see how the enemy can use this to the fullest when our husbands choose hobbies or work over time with their wives or the children. 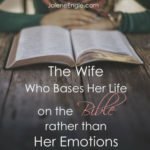 I can see the enemy’s cunning when the children can become our immediate comfort; the comfort and emotional needs being met that is supposed to come from our husbands. I’ve heard many friends say, “My children are my everything.” and that to me is a sad statement because I know that they’re there to fend for themselves and their children. I’m my husband’s wife first. Then I am my children’s mother. 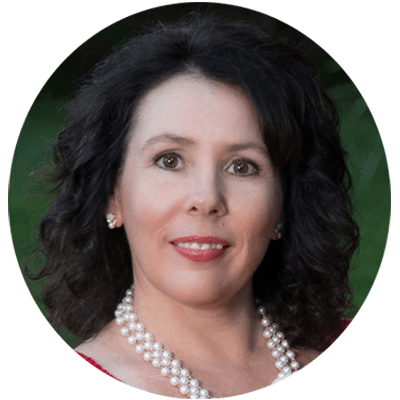 Mothering and home educating 6 children and being a wife first has had its challenges for me. If not for my husband knowing my need for him…and need for my sanity, I’d be in a ship of motherhood alone. God has tremendously blessed me with a husband that does make our marriage a priority. They wonder how we keep it together and make our marriage a priority with all of the kids that we have. My first response is always, “By the grace of God.” but I know they’re looking for more substance and “how to” than that. I’ve found myself needing to examine my heart first. Self is the best place to start because I’m the primary nourisher of our children since I’m home with them daily. I can become more attached to their lives, joys and issues than my husband sees or knows. It can be hard to detach. I purpose to think about my husband. Not just pray for him, but to sit and think about him in a positive way. Finding the good and seeing him as Christ see him. If I was upset with him, I have to choose to let it go. Remember that our children see how my husband and I treat each other and respond to each other. We are their first teachers; good and bad. I want them to know and learn how to make their marriage a priority. Don’t allow the children to interrupt my conversations or interaction with my husband. This actually speaks volumes in my husband knowing that I value our time and his words to me. Date regularly. It can be dinner and a movie, a stroll in your neighborhood, any crazy/cool thing happening in your town or city, or just a drive across town, dream building (my favorite has always been Saturday Open Houses in the nicer neighborhoods).We do talk about the children, but they aren’t the only conversation. We DO like to talk about the thing that made all those babies, though 😉 . Hey! We’re in love and we want to keep it that way. What better way than to talk about things we’re passionate about…each other. 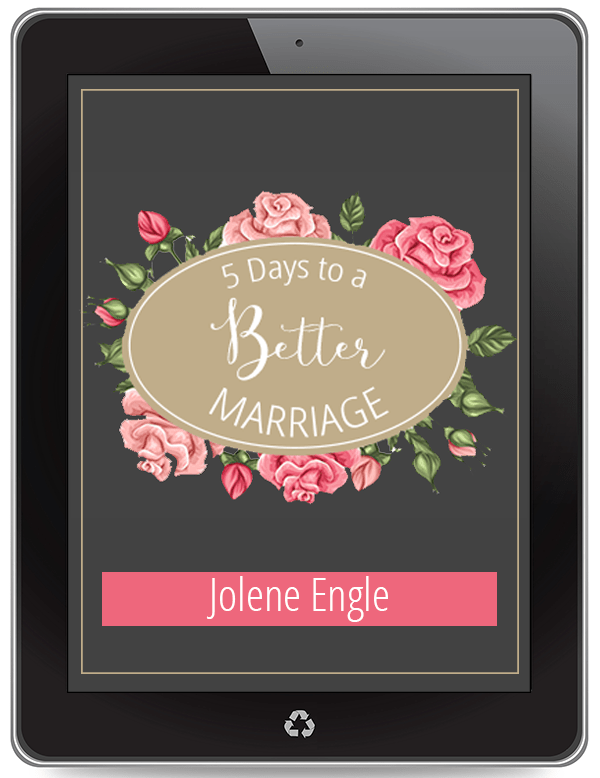 We also talk about our personal dreams and goals, Spiritual conversations (we LOVE talking about God’s Word), and where we’re going as a couple. 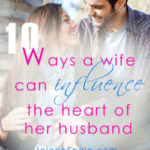 Seek to be a positive influence in someone else’s marriage. This is where the teacher becomes the student. When we know that someone else is watching, it makes us mindful of our marriage. It helps us to quickly seek each other’s best interest, to see the log in our own eye first, to be a better team. **I speak and write from a view of my own marriage. I don’t pretend that everyone’s marriage is an easy journey. 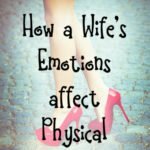 There’s tougher stuff that goes on between husbands and wives that need more than I can offer. 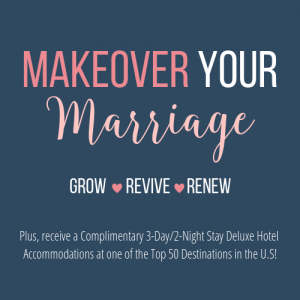 I pray that while you are still married that God reveals Himself mightily in your marriage. Kela…It is sad that some women miss this important fact of marriage. I love for my children to see how in love I am with my husband. Like you, I was a mother first then a wife and I had to learn to be a wife first then a mother after I got married. And twenty two years later…I still love being his wife first. It does take being intentional and you shared some great ways to do that. Thank you for the encouragement today. Thankfully we got married before I could really settle into my primary role as “mom”. Our daughter was 6 wks old. I think that this post has a couple of different dynamics. As much as I don’t really think of it in this term, I was a single mom! I guess I don’t because it was by MY choosing to be and not my husband’s choosing…but that’s a different story for another day! 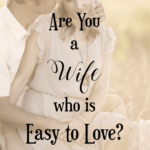 The other dynamic is the primary one of just simply being “his wife first”. Love this, Kela! 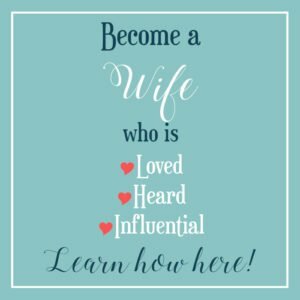 My marriage comes before motherhood and boy, do I have to be intentional about it! 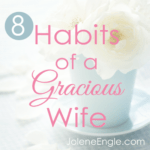 Loved what you shared here, “Seek to be a positive influence in someone else’s marriage. This is where the teacher becomes the student. 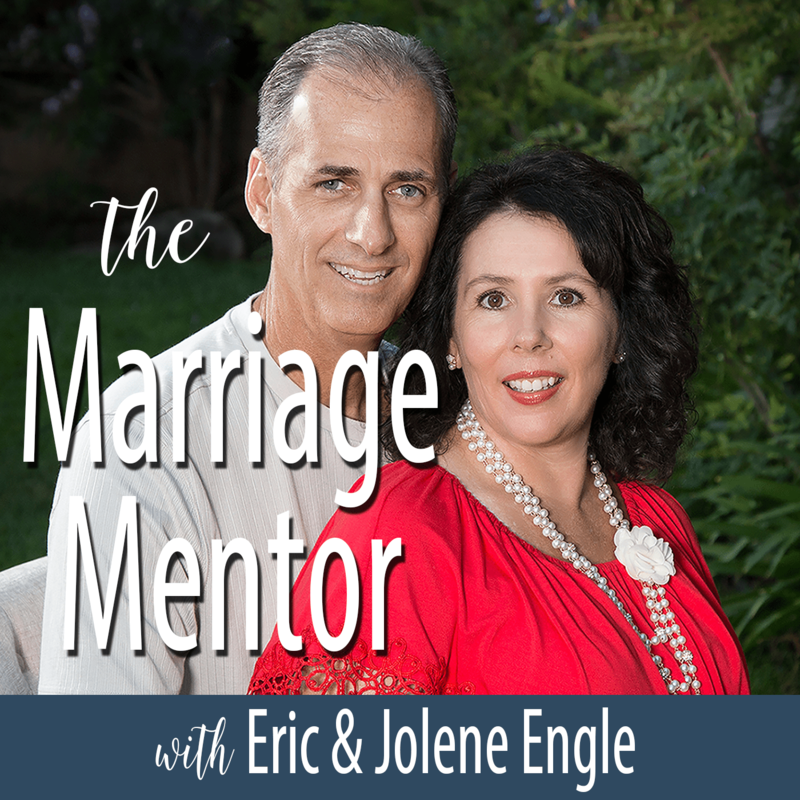 When we know that someone else is watching, it makes us mindful of our marriage. ” So true! I appreciate this, Jolene! Thank you!! This post really hit home to me. I tend to think the part a lot where you mentioned he can get it himself, I am tending to the kids. 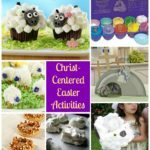 I have twins and tend to do things for them before all and it is something I think needs to be changed!! Thanks for the post! 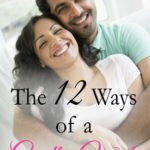 As a wife who has not yet become a mother, this is a great post for me to read and something to keep in mind for the future. Kela, great encouragement! Love it! Purposing to think about my husband will be my objective this week. This couldn’t have come at a better time for me!